What should you look for when dealing with termite pest control service providers or anay/ termite exterminators? 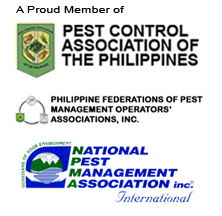 The Pest Control Philippines blog identified character and competence as attributes to look for in pest control professionals. These certainly apply to termite control professionals as well. These are especially relevant as termite problems often don’t get noticed until significant termite damage has been done to wooden furniture and structures. Thus, with enemies like these that are hidden from view, we rely on the competence of termite or anay exterminators to eradicate the termite problem as well as on their integrity that the problem has indeed been solved. On top of the guide questions listed in the said blog post, the company’s track record, licenses, certifications to international standards (ISO), memberships to professional organizations, trainings, and alliances with reputable providers of pest control products and services should be scrutinized. Top pest control companies in the Philippines should be able to provide you these information upon request; and these are verifiable with a bit of effort and due diligence. Part 2 is on good practices of termite control professionals.